"Down this twisted road, please watch over my soul and lift me up so gently so as not to touch the ground." This drama, written and directed by David Gordon Green, explores the challenging world of adolescence from a unique perspective. It takes place in a poor neighborhood in North Carolina. Nasia (played by Candace Evanofski), a 12-year old girl, provides narration in the film. It follows the activities of a group of young friends over the course of a pivotal summer. Nasia discovers herself parting company with her 13-year old boyfriend, Buddy (Curtis Cotton III), and suddenly more drawn to his unusual, studious friend, George (Donald Holden), a youngster who wears a helmet for protection because of a soft skull condition. 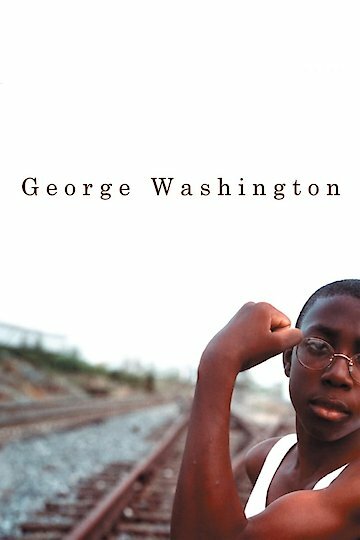 George Washington is currently available to watch and stream, buy on demand at Amazon, iTunes online.